ስለት እንሣል። ዛሬ ተአምራዊ ጉዞ ያስጀመረን አምላክ እንዲሁ ተዐምሩ እየበዛልን ቢቀጥልስ? ለዘመናት የምንሰማው “ኢትዮጵያ እጆቿን ወደ እግዚአብሔር ትዘረጋለች” የሚለው ተስፋ እውነት ሆኖ የጀመርነው የፍቅርና የይቅርታ መንገድ የተቃና ቢሆንስ? የምንመኘው ዲሞክራሲ ነገ ዕውን መሆኑ ብቻ ሳይሆን ምዕራባውያኑ የሚቀኑበት ቢሆንስ? ፍቅራችንና አንድነታችን ጎልብቶ፤ ዘረኝነት በወንድማማችነት ተተክቶ፤ በአምላክ ስር ያለን አንድ ቤተሰብ ሆነን ብንገለጥስ? ፀሎታችን ተሰምቶ ፈጣሪ ኢትዮጵያን ቢባርካትና የሁሉ ዓይን ማረፊያ ቢያደርጋትስ? በውኑ ያኔ የረዳንን አምላክ የሚገልጥ ምልክት በባንዲራችን ላይ እናደርግ ይሆንን? ያልተጠበቀው የኢትዮጵያዊነት ውበት ነገ እጅግ ደምቆ ሲበራ ልናይ ከሆነ፤ የማይጨበጥ ሕልም የሆነብን ዲሞክራሲ ነገ እንደ እለት እንጀራችን የምንመገበው ዕውነታ ሊሆን ከሆነ፤ ዛሬ የሚገፋፉትና የሚጠላለፉት ፖለቲከኞች ሁሉ በጠረጴዛ ዙሪያ ሆነው በወንድማማችነት መንፈስ የአስተሳሰብ ፍጭትና ፍትጊያ ሲያደርጉ አይተን ለመሆኑ እንዲህ ያሉ ድንቅየዎች ከየት መጡ እስክንል ድረስ የሚያስገርሙን ከሆነ፤ የኢትዮጵያ ሕዝብ ሜዳውም ይሄው ፈረሱም ይሄው በሐቅ መሪህን ምረጥ ተብሎ ጉድ የሚባልበት ጊዜ ሊመጣ ከሆነ፤ እኛስ የየራሳችንን የኑሮ ብልሃታችንን እንደለመድነው ከዚህ በሁዋላ ማስኬድ እንዴት ይቻለናል? ዶ/ር አብይ “ፈጣሪ ኢትዮጵያን ይባርክ” ብለው ሲያውጁ፤ ያኔ የኢትዮጵያን ዕጣ ፈንታ ለሰማይ አደራ ሰጥተው ራሳችንን ለተዐምሩ እንድናዘጋጅ ልባችንን ማነሳሳታቸው ነበር። እንደተባለውም ፈጣሪ ኢትዮጵያን ሊባርክና ያሳለፍነውን የመከራ ዘመን ሊያስረሳን የተስፋ ጭላንጭል ከጊዜ ወደ ጊዜ ቦግ እያለ እየተጨመረ በመብራት ላይ ይገኛል። ለዚህ አስደናቂ የታሪክ ዕድል ራሳችንን ለኢትዮጵያ ለማዘጋጀት መዘርጋት የሚገባን ይመስለኛል። ዶ/ር አብይ የአምላክን በረከት ከመጥራት አኳያ በንፅፅር የንግግራቸው ማሳረጊያ አድርገው የሚጠቀሙበት ሌላ ሀሳብ አላቸው። ያም፦ “ኢትዮጵያ በልጆቿ ጥረት ታፍራ ተከብራና በልፅጋ ለዘላለም ትኑር” የሚለው ቁምነገር ነው። ፈጣሪም ልመናችንን ሰምቶ እየጎበኘን ባለበት ሁኔታ፤ ዶ/ር አብይም ታማኝ ሆነው ራሳቸውን ለተባረከች ኢትዮጵያ ራሳቸውን እየሰጡ ባለበት ሁኔታ፤ እኛስ ለኢትዮጵያ ትንሳዔ ጥረት ለማድረግ ተዘጋጅተናል ወይ? የኢትዮጵያ መለኮታዊ ጥሪ ግን በአንድ ሰው መሪና በእርሱም ንግስና የሚተረጎም አይደለም። ኢትዮጵያ (ሕዝቧ ሁሉ እንደ አንድ ሆነው) እጆቿን እንደምትዘረጋ ታየላት። የኢትዮጵያ ጉዳይ ከእስራኤል ታሪክም የተለየ ነው። የእስራኤል ታሪክ በግለሰብ ላይ ያጠነጠነ ነበር። ጥንት አንድ ግለሰብ የሆነው አብርሃም እጆቹን ወደ ፈጣሪው ስለዘረጋ፤ ዛሬ አይሁድ ሙስሊምና የክርስትና እምነት ተከታዮች ሁሉም አብርሃምን አባታችን ነው ብለው እንደ አዕማድ ያዩታል። የኢትዮጵያ ታሪክ ግን በሕዝብ ላይ ያጠነጠነ ነው። ስለዚህም የኢትዮጵያ ሕዝብ እንደ አንድ ሰው ሆኖ፤ ኢትዮጵያ እጆቿን ወደ ፈጣሪ በዘረጋች ጊዜ፤ ዓለም ሁሉ በምሳሌነት የሚያያት ምድር እንደምትሆን ነገን የሚደርስ ሰው የሚያየው ጉዳይ ነው። የኢትዮጵያ አብሮነት (መደመር) እንደ ዘር ሆኖ የአፍሪካን አብሮነት (መባዛት) ይፈጥር ዘንድ ማን ያውቃል? ትልቁ የፈጣሪ በረከት ለዚህ ሁሉ ተልዕኮ መሠረት የሆነውን የኢትዮጵያ ህዝብ ቤተሰብነት ወደ ብርሃን ማምጣት ነው። ይህንንም በተመለከተ አንድ ነገር ልበልና ልቋጭ፦ አሜሪካኖች ስለ አሜሪካ “One Nation Under God” (በአምላክ ስር ያለ አንድ ሕዝብ) ይላሉ። ኢትዮጵያ ደግሞ “One Family Under God” (በፈጣሪ ስር ያለ አንድ ቤተሰብ) ይሁንልን! ላለፉት 44 ዓመታት በወጀብ ስትናወጥ የነበረችው ኢትዮጵያ ዛሬ ደግሞ በአዲስ መንፈስ መሪዋና ሕዝቡ በፍቅር እጅና ጓንት ሆነው አዲሲቷ ኢትዮጵያ እንድትወለድና ሀገራችንም ለመጀመሪያ ጊዜ እፎይ የምትልበት ዘመን ይህ ጊዜ ይሁንልን። ይህ መለኮታዊ ዕድል አያምልጠን። ልባችን ለዚህ ውልደት ዘብ ለመቆም ይጨክን! እውነት እንነጋገር ካልን፥ ጦረኛ መንግስት በራሱ ብቻውን ታሪክ ሰርቶ ሰማዕት ሆኖ ስልጣንን ለሕዝብ አስረክቦ በታሪክ ለመታወስ አይችልም። ኢትዮጵያ እንድትወለድ መንግስት ቀዳሚውን ሚና ቢጫወትም፥ የተቃዋሚዎችና የእያንዳንዳችንን አስተዋፅዎ ይፈልጋል። ተቃዋሚ ጦር ባይኖረውም ትልቁ ሃይሉ አንድነቱ ነው። ራሱን መስዋዕት የሚያደርገው የግልን ምኞትና አጀንዳ በመተው ለሀገር ሲባል በአንድነት መያያዝ ሲችል ነው። ይህ አዲስ አመለካከት የሚጠይቀው ያልተሄደበትን መንገድ መምረጥን ነው። ለዚህም እያንዳንዱ ተቃዋሚ ከራሱ ሩጫ ታቅቦና ከራሱ ማንነት ወጥቶ፥ ዓላማቸውንና ግባቸውን እንደገና በህብረት ሆነው ኢትዮጵያን ከማዋለድ ዓይን አንፃር ቀርፀውና አስተካከለው መነሳት ይኖርባቸዋል። ይህ ሲሆን መሪነቱን የጨበጠው ሁሉ የግሉን ለቆ የራሱን አውራነት ሰውቶ በአደጋ ላይ ያለችውን ኢትዮጵያ ለመታደግ የአንድነት ፋና ወጊ ለመሆን መሽቀዳደም ይኖርበታል። ያለውን መንግስት በካርድ ምርጫ መቀየር እንዲቻል ራሳቸውን ማዘጋጀት ይገባቸዋል። ምንም ይሁን ምን ውልደት ምጥ ውስጥ ታልፎ ነው ሀሴት የሚበሰረው። ስለዚህም ነው የየግል አጀንዳቸውን ሰውተው ከተቃዋሚ ሃይሎችነት አንድ ወይ ሁለት ፈርጠም ያለ አማራጭ ሃይል መመስረት የሚገባው። ይህን የምንለውን አይነት አስተዳደር የሚመጥን ታላቅና ክቡር ነገር በምድራችን እንዲሆን ከተፈለገ የሁሉንም ሰማዕትነት ይጠይቃል። ያለውን መንግስት ስልጣን ልቀቅ ብሎ መሞገትና ሕዝብን ማነሳሳት ከራስ ጥቅም ያለፈ መሆኑ እንዲህ ካልተደረገ በምን ይታወቃል? የሚሞተው ሌላ፥ ሄዶ የሚነግሰው ሌላ እንዳይሆን ይሁን። የወጣቱ ደም ተገብሮ ስልጣን ላይ ከሚወጣ፥ የራስን ምኞትና አጅንዳ ገብሮ ኢትዮጵያን ማዳን አይሻልምን? ነገር በምሳሌ እንዲሉ ሁላችንም ያለነው ውቂያኖስ ላይ የሚንሳፈፍ ኢትዮጵያ በሚባል ትልቅ መርከብ ላይ ነው። እርስዎ የሚሉት ቢሆን ቢሆን ተባብረን መርከቡን በእኩልነት እየኖርንበት እንሂድ፥ ካልሆነ መርከቡን በታትነን በኦሮሞ ጀልባ እንኖራለን ነው። ያስተውሉ፥ 1ኛ/ ሌላው ይበታተን የሚሉት ትልቁን 80 በላይ ብሔረሰብ የሚይዘውን የኢትዮጵያን ሕዝብ ነው። 2ኛ/ ኦሮሞ እንደ ጀልባ በኢትዮጵያ መርከብ ላይ የተቀመጠ ማንነት ያለው አይደለም። ኦሮሞ የመርከቡ አካልና መካከለኛ ክፍል ነው። ይህ መሬት ላይ ያለ በሕዝቡ አብሮነት ለዘመናት የተገለጠ ሐቅ ነው። 3ኛ/ መርከቡ ከተበታተነ፥ የመርከቡ መካከለኛም አብሮ ሰምጦ ይቀራል። ከዚህ ውጭ ያለ አስተሳሰብ ሕልውና በሕልም ደረጃ ያለ ነው። 4ኛ/ የመርከቡን መሪ ማን ይያዝ የሚለው ጉዳይ የእኛ ምርጫ አይደለም። የእኛ ትግል መሪዉን ለመያዝ ሳይሆን፥ መሪዉን የሚይዘውን አካል ሕዝብ እንዲመርጥ እውነተኛ ዲሞክራሲ እንዲኖር ነው። እውነተኛ ዲሞክራሲ ባለበት ብዙ የሕዝብ ቁጥር ያለው ኦሮሞ ከሁሉ ይበልጥ ይመቸዋል። ታዲያ የነገሬ ፍፃሜ ይህ ነው፥ ከ 50 ዓመታት በላይ ከቆየው የኦሮሞ ትግል ልምድ ከቀሰሙ በዋላ የደረሱበት ይህ አስተሳሰብዎ፥ ሁሉም የሚፈልገውን ይህንን ዲሞክራሲ እውን ለማድረግ የሚያስችል መላ በውኑ ነውን? በሌላ በኩል መንግስት የመግባባትን ሰላማዊ ጥሪ ለሁሉም ቢያቀርብና ተቃዋሚዎች ለሰላሙ ጉዞ ስፍራና ቦታ ካልሰጡ፥ ጉዳያቸው ስለ ኢትዮጵያ ሳይሆን መንግስትን አውርዶ እራስን ዙፋኑ ላይ የማስቀመጥ ሩጫ መሆኑ ይታወቅባቸዋል። ተሳክቶላቸው እንኳን መንግስት ቢለቅ፥ መግባባትን ንቆ በዘራፍ ቤተ መንግስት የደረሰ አማራጭ ሃይል ሁሉ አንድነትን ፈጥሮ ለመጓዝ ያስቸግረዋል። ባሳለፍነው ታሪክም ያየነው እንደማይቻል ነው። በመግባባት የዛሬውን ልዩነት ዛሬ መፍታት እንቢ ብሎ ለይደር ያስቀመጠ፥ ያኔ ስልጣኑ ተይዞ ልቡ ከየት ይመጣል? ያው አንዱ እንደተለመደው ደግሞ ስልጣኑን ይይዝና “ምድጃ ቢለዋውጡ ወጥ አያጣፍጥም” እንዲሉ ለኢትዮጵያ ጠብ የሚል ምንም ነገር ላይፈጠር ይችላል። እንዲያውም ከድጥ ወደ ማጡ እንዲባል የባሰ ቢመጣ ምን የሚያስገርም ነገር አለ? Ethiopia the beautiful is the product of the people, not the government. Governments come and go. The people remain. The people guarantee the reality of TRUE ETHIPIAWINET. 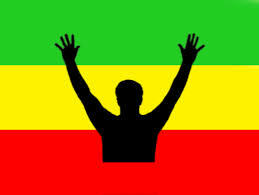 The people are the guardians of Ethiopia. Ethiopia is special for it represents the people. The people assure the future of Ethiopia. Therefore, there is no need to debate the identity of Ethiopia and thereby lack a reference point in our effort to move forward. We do miss the point and create confusion if we attempt to put Ethiopia on trial. Let’s get to the bottom of this. Make a distinction first: ETHIOPIAWINET is a concept we already know. TRUE ETHIOPIAWINET is what we never knew. The DNA of TRUE ETHIPIAWINET is the inherent incessant drive to actualize equality among all ethnic groups in real life that goes beyond mere talk. The reason for such drive is not so that we may become Ethiopians, but because we already are Ethiopians. It takes two to tango. In part 1 of my article, I focused mostly on the opposition. Now, I present my reflections regarding the call for a paradigm shift targeted primarily to the government. I also touch on a paradigm shift for all, because we all need it. It takes two to tango. The government’s talk about democracy appears to deal more with the image of democracy than with the reality of democracy. The opposition’s talk about democracy seems to be targeted more at assuming power by whatever means than at providing an alternative unified option for the people to choose. That is the drama of democracy played everyday in Ethiopia. The question is, how can we abandon the drama and get on with the real thing? In this part one of my article, I would focus on the opposition. ​The reconciliation dialogue needs to progress in parallel on two fronts: (1) among the several opposition groups; and, (2) between the government and oppositions. Allow me to be pragmatic by putting myself in the shoes of both the government and the opposition to deal with the reconciliation dialogue on the latter front. The truth may not be black or white. It may be gray. And embracing this fact is good for Ethiopia. Here is my take as an independent voice. My heart is for Ethiopia to find a bridge in reconciliation and mutual understanding. In response to my article, Ethiopia: Time for a Paradigm Shift part 2, the pro-government (Ethioadvocate) boiled down everything therein to one simple question: “Paradigm Shift for Whom?” (Which was posted on Aiga Forum). The answer is this: it is for all of the Ethiopian people without exception. We all should be in this together. It takes two to tango. EPRDF’s talk about democracy appears to deal more with the image of democracy than with its reality. The oppositions’ talk about democracy seems to be targeted more at assuming power by whatever means than at providing a unified alternative for the people to choose from. That is the drama of democracy played everyday inEthiopia. The vital question, however, is; how can the drama be abandoned and reality be adopted?